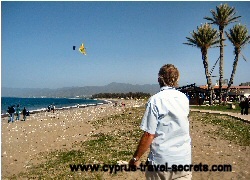 Find out why Green Monday, the start of Lent, is a kite flying day in Cyprus. 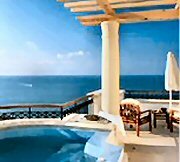 Green Monday in Cyprus (known as Clean Monday in other countries like Greece) is a bank holiday in Cyprus that denotes the start of Lent. Usually occurring at the start of spring in early March, Green Monday is a festival where flying a kite is the main past time. Families and groups of friends descend onto the beaches. laden with picnics and, of course, their best kites ready to take part in the local kite festival. Kite flying is a hugely popular activity across the world, especially in Asia where the Chinese kite festival, among others, is a massive event. It is also very competitive with some countries like Pakistan staging kite fighting events where participants aim to sever their opponents' kite strings so that their kite remains flying at the end of the day. In some countries, flying a kite has even been banned as people were coating their kite strings with glue and shards of glass to cut opponents kite strings more quickly! Thankfully, Cypriot kite flying day on Green Monday is a good natured affair with the only competition being how high can you fly your kite. That and, of course, getting as high as a kite during the celebrations! Lent denotes a time of fasting and prepares Christians for the most important feast of the year, that of Pascha (from the Greek) or Easter.Lent lasts for forty days and is a moveable feast since it starts at the beginning of the seventh week before Easter Sunday. In addition to Lent being characterised by a period of fasting - the foods traditionally abstained from are meat and dairy products, fish, wine and oil although in practice it is often only meat products that areommitted from the Cypriot diet - Lent is also a time for personal examination, repentanceand self improvement. Whilst many Cypriots stick to the time of fasting, it is always amusing to then see them tucking intojust about every Cypriot dish you could possibly taste as well as a mountain of sweet pastrieslike kateyfi which mark the start of Easter celebrations. Why is Green Monday a kite flying day? 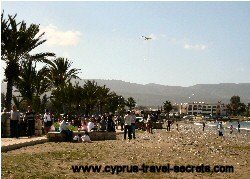 The answer to this question is really just because flying a kite is an age old tradition associated with festivals both in Cyprus and across the world. But in addition to being a simple form of entertainment for all ages, flying kites also has a symbolic meaning in keeping with the start of Lent. Just as the kite soars high above the ground, breaking free from being held down and enjoying the fresh wind as it climbs higher and higher, so the Christian can use the period of Lent to breathe in the fresh spring air and reflect on new experiences to be captured as the spring season begins. Either way, now you know why every shop is selling kites in the run up to Green Monday! I promise to use it only to send you the restaurant guide and our free E-Zine packed with Cyprus travel offers.